House Critic | House buying, selling, viewing and the housing market. OK, so it's not a normal house at all, it's a beautiful tudor manor house. 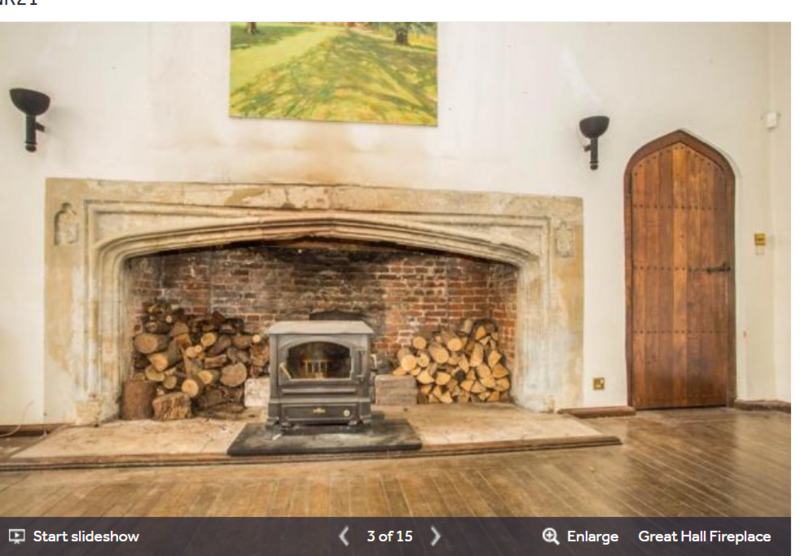 But with such a huge fireplace! Purported to have been built in or around 1520, Barsham Manor House has played host over the last five centuries to many guests, from monarchs, knights, politicians and celebrities to latter day rock legends. Its most famous guest was undoubtedly King Henry VIII who stayed here on at least five separate occasions (never with the same wife!) whilst visiting the nearby shrine to our Lady of Walsingham and, whilst The Manor's construction has always been attributed to Sir Henry Fermor, Henry VIII once referred to it as "my small country palace in Barsham." Dewalt DCK211D2T 10.8 Volt Cordless Lithium Ion Compact Drill Driver and Impact Driver Twin Pack complete with 2 x 2.0 Ah Li-ion batteries, charger and TStak Kit box. DCD710 Drill Driver has a compact, lightweight design and 15 Position adjustable torque control for consistent screw driving into a variety of materials with different screw sizes. The all metal gearing provides for efficient power transmission and long tool life and the LED light gives improved visibility. Other features include 10mm Single sleeve keyless chuck with automatic spindle lock for quick and easy bit change and two speed settings, variable speed and reverse switch. DCF815 Impact Driver has a compact, durable design and delivers 107Nm of torque. The all metal gearing provides for efficient power transmission and long tool life and the aluminium front housing provides greater heat dispersion increasing motor life. Other features include 6.35mm 'drop in' keyless hex driver which allows for quick, one handed fitment and 3 LED 'Halo' ring which provides maximum illumination to work piece. Check your smoke and CO2 alarms regularly. It could save your life. Well let's look closer at that. 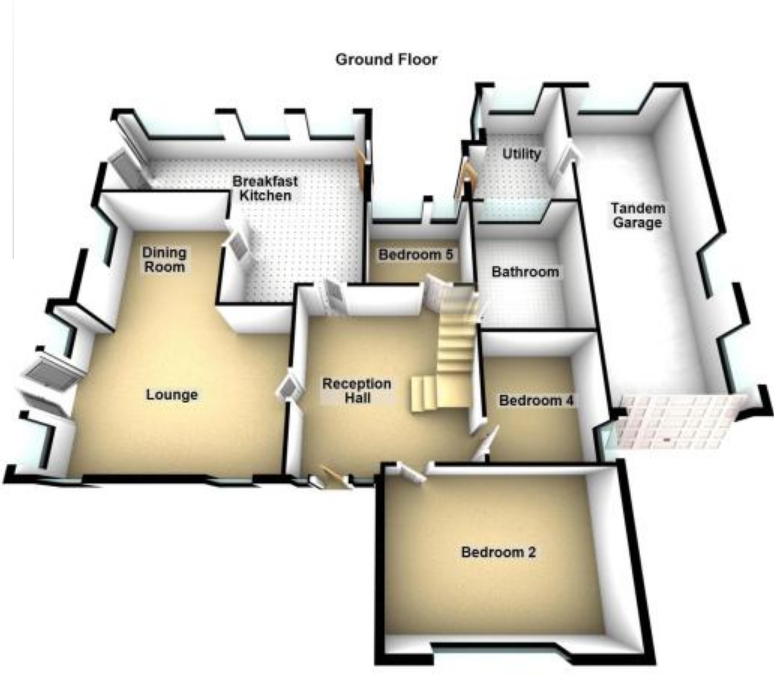 This is the downstairs plan: For me, these downstairs rooms are reception rooms. Otherwise there's very few downstairs rooms that are not bedrooms. Now you might think it doesn't really matter. But I read a story recently about a couple who lost out after a fire in their home as they'd not declared the right number of bedrooms. One in the loft they didn't feel was really suitanle as a bedroom so they didn't call it one or use it as one. So they insured their home for less bedrooms than they'd been sold it as. This is a story - it may or may not be the one I'd heard about before but it came up on a quick google search https://www.thisismoney.co.uk/money/article-5550933/Our-house-burnt-insurer-refused-pay-said-7-bedrooms-not-five.html The couple say: the other two are attic rooms used for storage and, as they do not comply with building regulations, cannot legally be classed as bedrooms. Paul, a sales manager, had bought their home buildings and contents cover via a comparison website and paid £416 for an annual policy. One of the first questions on the online form is how many bedrooms the property has, including any that now have another use, such as studies. It also asks for the number of reception rooms, including living rooms and dining rooms, bathrooms and any 'other rooms' (not including kitchens, utilities and conservatories). Read the rest of the story on the link above. 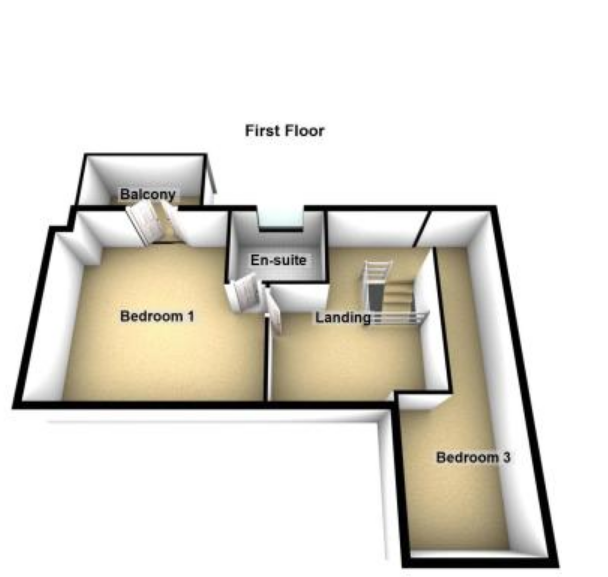 But - if an estate agent calls three downstairs rooms bedrooms, then how do you go on insuring this house. It's five bedrooms according to the estate agent, but for me, it'd be the two upstairs rooms that were used as bedrooms, and everything downstairs would be a reception room. Is this done purely because people are expected to pay more for a 5 bedroom hosue than a 2 bedroom house even if there's more reception rooms? After all the number of rooms doesn't actually change, it's just their designation. "A spokeswoman for Ageas says: 'The Financial Ombudsman Service agreed that their home had seven bedrooms, rather than the five they said they had when they bought their policy. " So, do you need to have this discussion with insurance companies before you take out a policy, which means probably ringing them up and getting them to clarify in writing what they will interpret as a bedroom. 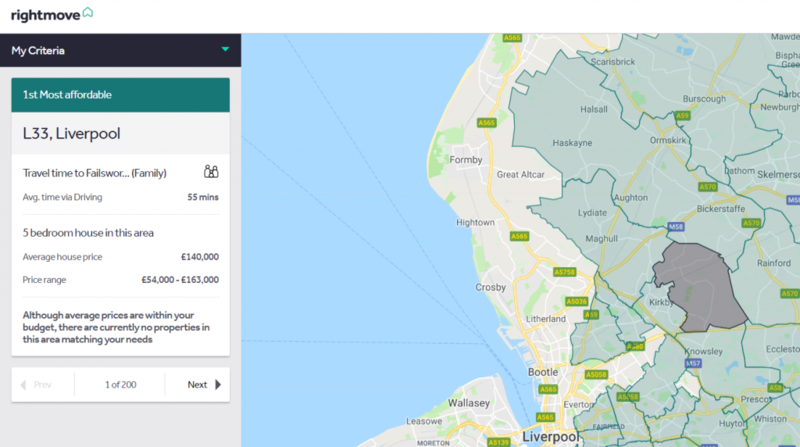 Log in with your Rightmove account to discover new areas It asks where you want to live near - work or friends and family. It asks where that is. How you'll visit them, and how far away in time do you want to be. It asks how many bedrooms, and what sort of property and then finally what your budget is. With what I've given it, within an hour's car drive of Failsworth the map looks like The first area it suggests is this: It's interesting and I'll be clicking through a bit more to see what else this does! Try it and see what it throws up for you! We love Kirsty from Location, Location, Location and we also love her for her craft shows on Tv. 'To my utter joy, crafts of every kind have made their way back into our lives - big style. They've shaken off their old-fashioned image and a whole new generation of people have embraced them. Join me on my voyage of discovery, meeting passionate crafters, learning the secrets of their amazing artistry and then, for my sins, trying to compete with them in craft competitions across the country.' Kirstie Allsopp Kirstie Allsopp's love affair with British crafts took off when she renovated her house in Devon. Now she takes to the road on a tour of the country to discover and celebrate the things that make Great Britain a nation of truly great crafters. Kirstie Allsopp Craft is an inspiring collection of projects that introduces you to traditional crafting skills in a fresh, modern way. From making your own family scrapbooks and appliqué cushions to jam-making and handmade bunting, Kirstie Allsopp Craft contains 50 practical projects to inspire you to have a go.